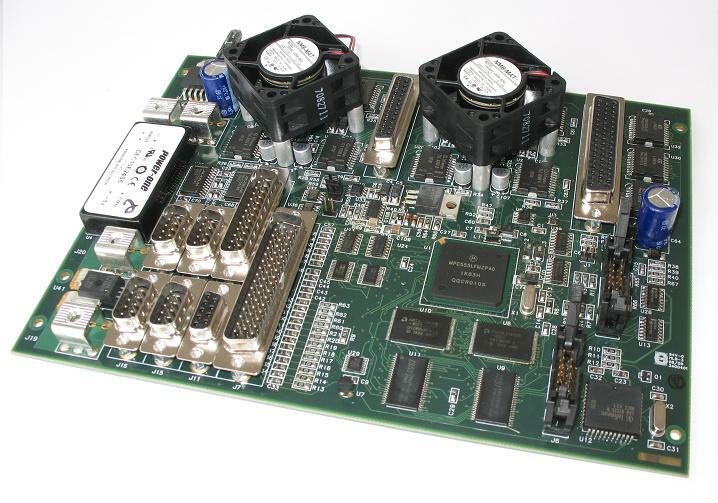 Although I do all my own hardware design, board layout, firmware programming and PC application programming, in this case, I did not design this PowerPC based controller board. This board was designed by staff at DRDC-Suffield and I build and test them as needed. So although it is not my project per se, I've included it because a great deal of care and attention (and time) goes into building and testing each board and because they're kinda cool! The pictures below the controller board are a project I did complete in order to provide a convenient connection to the same board for a robotic bobcat controller under contract to DRDC-Suffield.